Unlike many states across Nigeria, Lagos has witnessed some form of continuity in governance since 1999. Its political status is even more unique as Sen. Bola Ahmed Tinubu, former governor of the state and national leader of the All Progressives Congress (APC) has remained its political compass for the most part of 19 years. But for the administration of Babatunde Fashola whose tenure ended in 2015, the state’s political leadership has been characterised by political patronage with little or no progress to show for it. Incumbent governor, Akinwunmi Ambode’s 1,260 days in office has been seen by many as a complete waste, with nothing to show for it other than obscene rubbish heaps, traffic congestion, indiscriminate parking of fuel tankers on major highways, bad major and inner roads, and other signs of a state in dire need of executive leadership. “It is as if the state is running on autopilot… as if there is no governor,” says Yemi Adeniji, an entrepreneur who spoke to our reporter. Many have complained about the state of infrastructure in Lagos, but the bad roads stick out like a sore thumb. 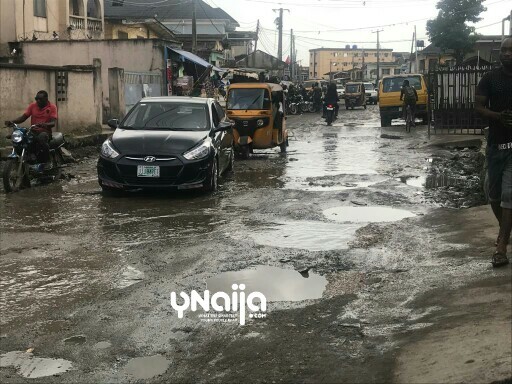 It is the same story from Lagos Mainland to the Island as residents of Iyana Ipaja, Dopemu, Ikeja, Ajah, Surulere, Oshodi and even Ikoyi cry for help daily for the government to do its job of maintaining roads across the state. 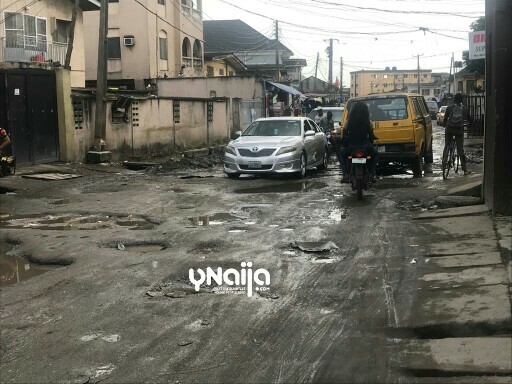 Of note are roads in Surulere suburbs which have been in different states of disrepair for several months, if not years. Areas like Lawanson, Kilo, Idi-Araba, Itire, Alaka, Oduduwa, and others have been neglected by the local and state governments who continue to demand tax from citizens. 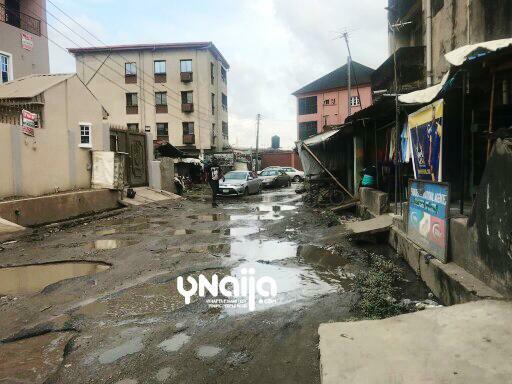 In Oduduwa, a suburb of Surulere, residents are at a loss as to what to do since the government has proven incapable of solving their problems. “Our roads are not motorable. This government is doing nothing. The governor is not trying at all. My ‘keke’ gets spoilt all the time due to this bad road – this is where I pass every day. Will we continue to live like this?” said Samuel, a commercial tricycle rider who takes passengers from Kilo to Adedeji also in Surulere. 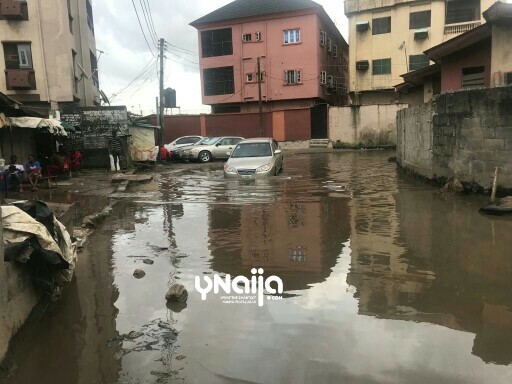 According to Emeka, a businessman who works on Lagos Island, it is high time Lagosians do something about their everyday suffering. “This is not a Surulere thing o. I work on the Island, and the traffic challenges I face every day is unimaginable. The tankers on Eko Bridge keep us there for hours – for a journey that should take less than 20 minutes. The traffic on the bridge is now permanent – on both sides. What is the governor doing please?” Emeka said. 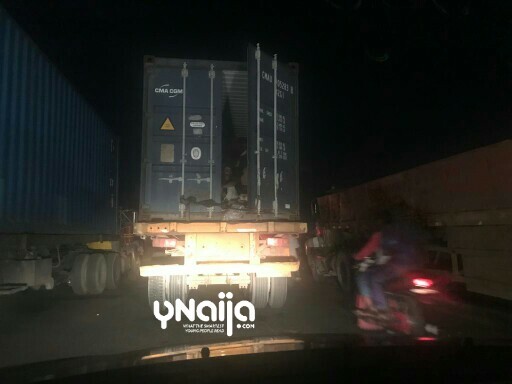 Private and commercial drivers are also calling on the government to work on road infrastructure due to its effect on the security and welfare of citizens who spend an inordinate amount of time on Lagos roads. “We have never had it so bad in Lagos. The current government in Lagos is the worst I personally have seen so far. We all praised the last government for work done even though it had its shortcomings, but it is very hard to pinpoint one thing Governor Ambode has done right,” said Seun Adenekan, a lawyer. Many believe Governor Akinwunmi Ambode would have done better if allowed a second term but others are sceptical of this notion as they argue that no sector of governance has seen progress since the governor took office. As we go closer to the election year, many Lagosians are waiting anxiously to see what the current government has planned to clean up its messy legacy.